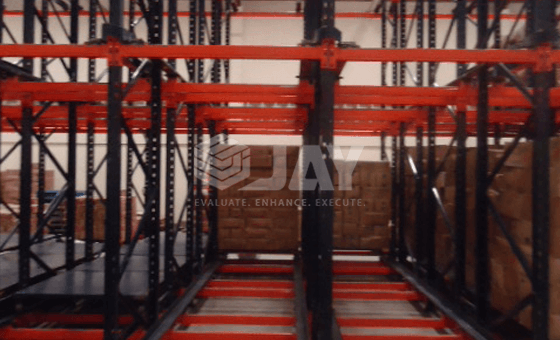 Jay Storage’s Pallet Live Storage Racking for palletized loads are compact structures that normally incorporate roller track sections placed on a sloped lane to allow pallets to slide over them. 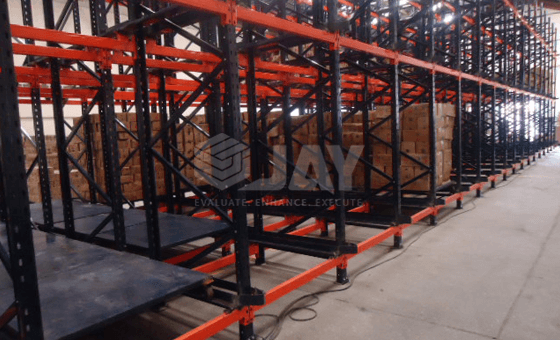 The Pallet Flow Racks are put in the highest part of the rolling section & move by the force of gravity and in a controlled speed towards the other end, where they remain until they are ready to be removed. 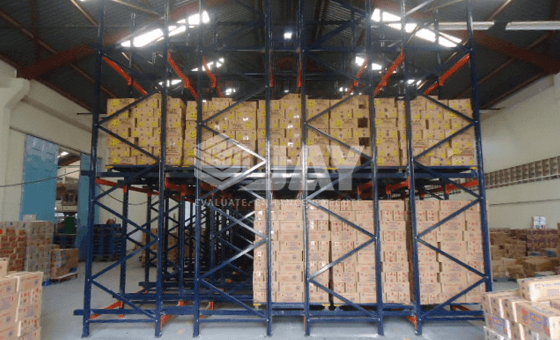 Pallet Live Storage enables perfect rotation of stored products, with the FIFO (First-in, First-out) system, where the first pallet to be put in is the first pallet to be taken out. This makes it ideal for storing perishable goods. 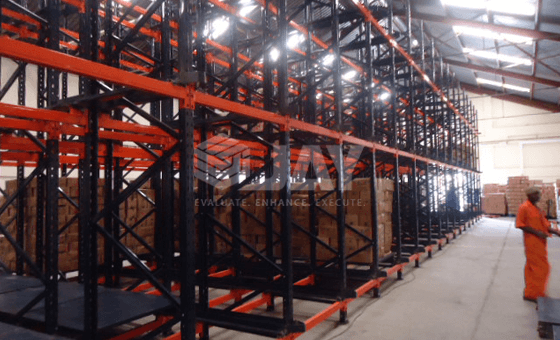 Pallet Live storage pallet racking is ideal for the following areas.